Trends 2016: The AI-Revolution - CREATIVE CONSTRUCTION - Web and Mobile.Full-Service. 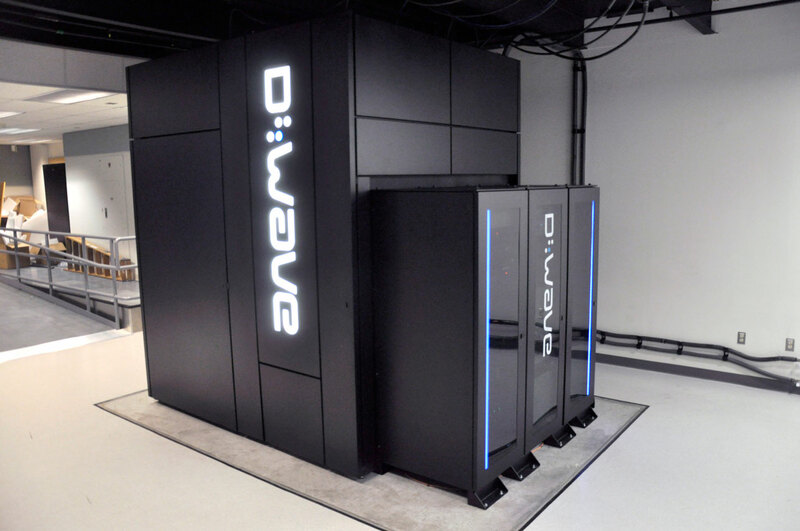 2015 was characterized by unparalleled dynamics in the area of artificial intelligence (AI). Tech giants such as Google, Facebook, IBM, Microsoft and Amazon not only proclaimed artificial intelligence as the strategic priority that will determine the future of their organizations, but have successively announced the achievement of new milestones. What has made these milestones exceptional is that instead of only allowing these new advancements to influence their own products, these companies have made their successful developments available to all other organizations for use and integration into their respective products. This is why development will continue to accelerate in 2016 and AI will become a central element in the strategy of every company. 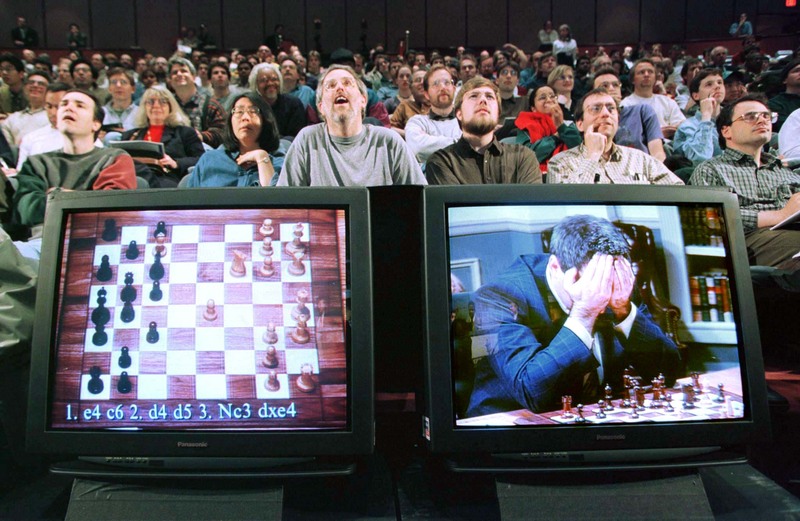 After a long period of hibernation in the area of artificial intelligence, the science was reawakened with a media bang in 1997: IBM’s super computer, Deep Blue, beat the reigning chess champion, Gary Kasparov. This victory in the battle of man vs machine was preceded by several ice ages in AI that were followed by phases alternating between euphoria and disappointment. The first successes in computer-supported language translation in the 1950’s led to the belief that computers would be able to completely replace human capabilities within the timespan of just a few years. However, understanding language proved to be much more complex than anticipated, which sobered expectations and led to reductions in investment in the 1970’s (please also see Trend: Messaging as Platform). The 1980’s witnessed new excitement around so-called expert systems. However, these also failed to meet expectations and proved to be cost prohibitive. AI once again saw contraction. In light of this history, AI research was in a difficult position and was met with a great deal of skepticism. But there has been a great shift in mood since the media event of Deep Blue beating Kasparov. Development continues to accelerate and to include additional areas of application with tremendous success. In an effort to promote the development of driverless cars, the US military offered an award of USD 1 million to the team that could produce a vehicle that would autonomously complete a predetermined course. The first competition took place in 2004 and was a disaster: not one single vehicle was able to complete the course of 240 kilometers. The most successful vehicle completed 11 kilometers before getting hung up on a rock. Just one year later, five vehicles successfully completed the course that also included passing through a narrow tunnel and the navigation of curvy mountain roads. Today, merely 10 years following this first milestone, driverless cars by Google have already logged more than 3.2 million kilometers. In 2011, Watson, the successor of IBM’s super computer Deep Blue, won against several human contestants on Jeopardy and marked the successful achievement of yet another milestone. For this to happen, language ambiguity, which until then had proven to be problematic for computers, had to be deciphered via the mathematically ascertainable range of options. The same year, Apple introduced the personal assistant, Siri, as part of its mobile operating system. Directed by naturally-spoken language, Siri accepts commands and answers questions. While the capabilities of this assistant have room for improvement, the quality of the understanding of spoken language has already attained a level that was unthinkable only a few years ago. Such an assistant is far from being just a technical gadget: the requirement of a screen to operate computers limits design options for products and leads to complexity and inefficiency in interaction (please also see Trend: Messaging as Platform). Especially wearables such as smart watches or home automation systems like Google Nest clearly show that a graphic user interface (GUI) is a limiting factor for increasingly smaller computers. 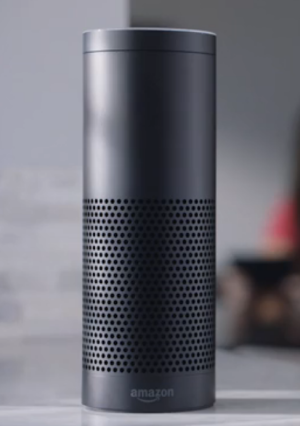 All tech giants followed Apple with their versions of voice activated assistants that contain a range of AI components and made last year’s Trend “Pro-active Experiences” possible: Google Now, Microsoft Cortana, Facebook M, Amazon Echo – yes, even Barbie – interact with human beings using natural language and carry out an ever increasing set of functions. AI also plays a key role in Google’s core product – search: although not integrated into Google search until spring 2015, RankBrain today is the third most important ranking factor for the display of search results and can answer uncommon questions with greater accuracy than a human expert. a face can be found among 800 million images in less than five seconds. Accurately deciphering spoken language, traditionally a challenge for computers, has now caught up with the capability of humans, and computers are now better at recognizing written symbols than we are. Writing press releases about corporate quarterly reports is now being executed by computers like answering e-mails, medical diagnoses, or the identification of depression through facial expression analysis (to learn more about the implications for personal privacy, please see our top trend of the previous year “Redefinition of Privacy”). While researchers have promised the imminent arrival of artificial intelligence for over 60 years, the speed and profoundness of these AI-based transformations in the last five years demonstrate that this time around, it’s more than just hype. Availability of affordable parallel processing: while traditional processors required weeks to calculate the option range of a neural network, clusters of modern graphic processor units (GPUs) can accomplish this within a day. Thanks to the boom in the gaming industry, these chips, developed for the display of complex graphics in computer games, have been mass produced since 2005, resulting in a drastic reduction in price. Big Data: in order to develop “intelligence”, access to massive amounts of data is required. Only when computers can be trained with this kind of input can they expand their capabilities. The 1960’s saw a great deal of investment in the systematic development of databases that were intended to supply computers with human knowledge. These are available today, and it was in this manner that Watson, supplied with data from Wikipedia, was able to beat his human opponents on Jeopardy in 2011. Google was able to significantly improve the quality of its automatic translations by scanning books in multiple languages and using human translations of millions of books as a foundation. Only by having access to millions of cat images could the computer be taught to reliably indentify cats with various markings and in any type of position. If the speed of these developments is making your head spin, rest assured that this is only a precursor to further acceleration that is expected in the coming year. In the last two months, every well-known tech company has made their AI systems accessible to the general public in an unparalleled announcement race (please also see Trend: API-Economy): without having to invest in research on its own, every company today can take advantage of the full capabilities of IBM’s Watson and SystemML, Google’s TensorFlow, Microsoft’s DMLT, Facebook’s Big Sur or Sound Hound’s Houndify. The more an AI system is utilized, the more data is available to the system for training and improvement; the better a system becomes, the more it is used. Even just a marginal head start can prove to be uncatchable based on the exponential character of this development. Microsoft made its AI assistant, Cortana, available on a broad spectrum of operating systems for the same reason: an assistant is only truly helpful if it is accessible everywhere and can thereby learn one’s individual preferences and routines in a wide variety of contexts. You are more likely to use a personal assistant who knows you well and with whom you have established an emotional bond (please also see Trend: Messaging as a Platform). The exponential improvement of AI in just the last five years demonstrates that as opposed to the previous phases of AI euphoria, now the three central pillars that are required for progress and continued advancement are in place: networked, high performance systems, big data, and sophisticated algorithms. Numerous tech giants have identified artificial intelligence as THE technology with transformative potential across all areas of development. At Google alone, 1,000 researchers are focused only on this field and rethink every activity of the organization from this vantage point. Facebook, Microsoft, IBM, Amazon, Tesla, Uber, and many others also have made AI a strategic priority and spare no expense in its advancement. Since human beings are accustomed to thinking in terms of linear relationships, the consequences of such exponential development can be mind-blowing. Change brought about by AI will be faster and more profound than imaginable: in just 10 years, no industry will even vaguely resemble what it looks like today, and in the next 20 years, AI will take over a majority of today’s jobs. Let’s look at the insurance industry as just an example. Based on technology that exists today, the following scenario can be painted: while 1.2 million people die in car accidents annually, Google’s driverless cars have already logged more than 3.2 million kilometers without causing a single accident. This will have far-reaching effects on insurance providers: if there are no more accidents, insuring against this risk will become unnecessary. Should Google’s and Uber’s efforts of replacing human drivers within the next 10 to 15 years prove to be successful, not just taxi drivers will have to find a new job: given that cars currently sit around unused 96 percent of the time, mobility requirements in urban areas can be met with far less vehicles. PricewaterhouseCoopers predicts a reduction in the car fleet of 99 percent. It is not difficult to discern the implications of such a development for a car nation like Germany. The effects across all industries will be far more profound than those experienced during the first industrial revolution. Corporations and organizations are insufficiently prepared for this exponentially accelerating change. AI expert, Ray Kurzweil, Director of Engineering at Google, assumes that in 2029, computers will have reached the point where their intelligence can no longer be distinguished from human intelligence (singularity). 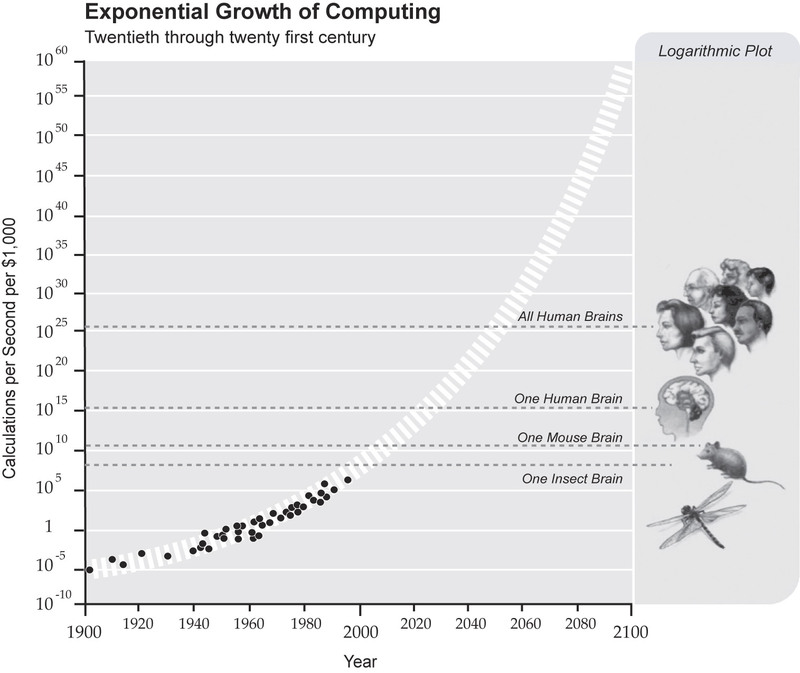 Based on exponential development their capabilities will be a billion times that of their biological rivals by 2040. Regardless of whether the emerging artificial intelligence will be a broad intelligence (Artificial General Intelligence, AGI) and thus undistinguishable from human intelligence, or whether it will focus on a variety of specialized capabilities (Artificial Intelligence, AI), all experts agree that no other area of research is of more significance to the future of humanity. 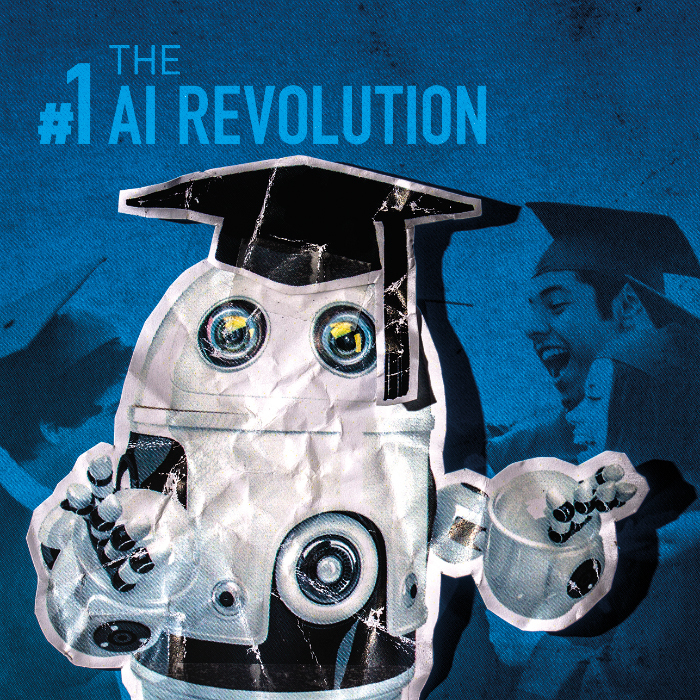 While Kurzweil believes that this development will be advantageous to humans as the human brain can profit from the capabilities of AI and be connected to them, other technology and science experts like Elon Musk, Bill Gates, and Stephen Hawking see AI as potentially being one of the greatest dangers to the human race. However, AI is just as important for Musk in the development of driverless cars as it is to Bill Gates for Microsoft. The announcement of a 1-billion-dollar investment in OpenAI by Elon Musk, Peter Thiel, Infosys, and Amazon underscores this importance anew. Tomorrow’s innovators aren’t busy reinventing the wheel: they are orchestrating existing services to perfection in order to create an exceptional user experience that allows them to disrupt large corporations with only minimal investment in resources. The secret to their success is the use of APIs. What APIs are, why they are the secret sauce in Uber’s meteoric rise to a valuation of over USD 60 billion, why they should be on the strategic agenda of every CEO, and why an outstanding user experience is becoming the central element for success. Texting has become the most popular smartphone service – beating out internet surfing and making calls. Facebook, Slack, and several messaging operators are currently trying to establish messaging as a platform: developers can create messaging apps that can be addressed and operated directly via text messages. By combining these user habits with the potential of automated text recognition, is a natural language interface the next evolutionary step in communicating with a computer? Could Facebook and Slack dethrone Apple and Google and become the next dominant force in mobile operating systems and app stores? And how will these developments affect the digital strategy of every company?